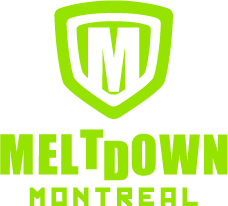 Please note that we cannot accept all volunteer applications, as space is limited (we do appreciate your desire to help us make Otakuthon as successful as possible, though). When volunteer shifts are allocated, preference will be given to applicants who have requested at least 15 hours of volunteering. 1. 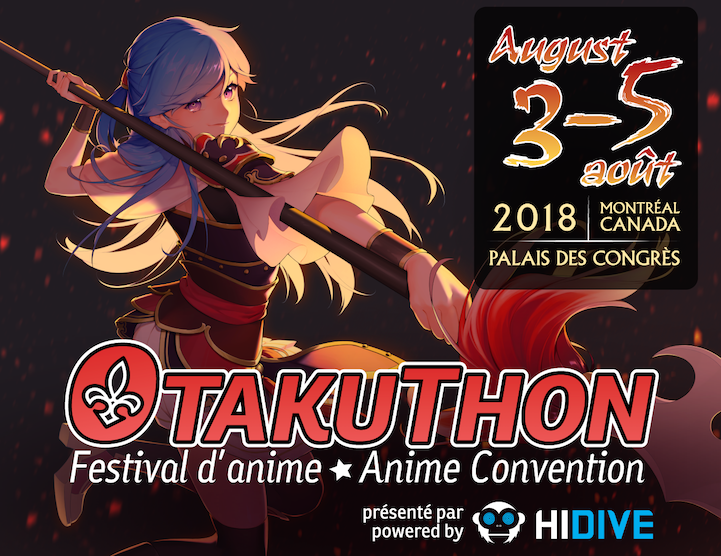 Why should I volunteer for Otakuthon? 2. What can I do as a volunteer? 5. How and where do I apply? Volunteering is a great way to meet new people with similar interests! We also have different levels of perks, based on the number of hours volunteered. Check out our Volunteer Rewards page for more information! How is being a volunteer different from staff? Volunteers and staff both freely donate their time to help the convention. The difference is that staff are given a staff badge upfront and have more responsibility. Volunteers buy their badge during pre-registration, to be reimbursed according to our rewards structure. Staff are also usually designated a single job, while volunteers may have a variety of tasks assigned to them and work the number of hours they ask. You can find our staff openings here and our volunteer openings here. We have many tasks available. Visit the tasks page for additional information. Do I have to pay the convention's entrance fee even if I'm a volunteer? Yes. However, a reimbursement system is available for volunteers. I'm 14 years old but turning 15 right after Otakuthon, may I still volunteer? No. All volunteers must be 15 years of age or older (no exceptions). If you're turning 15 just before the convention starts, please provide us with a photo ID with your birth date (e.g. health insurance card, student opus card, etc.). Do I have to pre-register in order to volunteer? Yes, pre-registration is mandatory to become a volunteer. It is important that you provide the account number from your pre-registration on your volunteer application form. Your badge can be picked-up starting on Thursday, August 2nd, 2018 at noon. I got accepted as a volunteer, but it says I should be present at the volunteer orientation session. Do I need to attend? Yes. All volunteers (both returning and new recruits) must attend at least one volunteer orientation session to get up-to-date with the latest information. Should you miss the orientation session, please send us an email to volunteers@otakuthon.com with your justification. How many hours do I need to volunteer for a full refund? 20 hours are required for a full refund. You may also choose to complete 5, 10, 15 or 25+ hours. Please refer to the Volunteer Rewards program for more details on the advantages of volunteering for more hours. My personal information is private and I do not wish to share it with Otakuthon, is that okay? To be able to volunteer, the requested information must be provided. Rest assured that it will not be disclosed publicly and will be only used internally or in the event of an emergency. What benefits do I get for volunteering during the night shift? Each hour volunteered during the night shifts (11pm to 8am) will be counted as 1.5 volunteer hours (e.g. if you volunteer for 5 hours during the night shift, they will count as 7.5 hours). NOTE: You must be 18 years of age or older to volunteer during the night shift. Do I get any breaks on my shifts? Otakuthon appreciates the help and acknowledges the hard work of its volunteers. Rest assured, you will get breaks during your shifts. More details will be offered during the volunteers' training session. May I take pictures while I volunteer? It is not recommended to carry cameras or other valuables while you're carrying out your tasks as you might lose them. Taking pictures is acceptable as long as you tend to your duties. May I cosplay while I volunteer? Can I stop and pose for a photo during my shift if someone asks? Feel free to cosplay when you're volunteering; however, please refrain from posing too long for pictures. When volunteering, your priority is to carry out your assigned tasks and help the convention run smoothly. Be sure that your cosplay does not obstruct the path (too large or bulky) or hinder your ability to complete your tasks. How do I get reimbursed as a volunteer? What if I can't pick up my reimbursement in person? Reimbursements will take place during the convention (time and location will be announced during the volunteer orientation sessions). If you are not able to pick up your reimbursement during the convention, there will be reimbursement dates set up post-con at the office. Please contact volunteers@otakuthon.com as soon as possible as unclaimed reimbursements will not be carried over into future years. Please note that any reimbursements that have not been collected before Saturday August 18, 2018 will be voided and therefore no longer available. Is there a warnings system? How does it work? We use the "three strikes" system. Depending on the severity of a mistake/error, a warning may be issued. Here are some of the reasons where warnings are issued: harassment, abuse, laziness, disrespect, theft, late arrivals, not showing up for your assigned shift, poor performance, disregarding rules, unacceptable behavior, etc. On the third warning, you will be banned from volunteering at Otakuthon. Please be aware of your attitude and actions toward participants and staff. You must first complete the volunteer application. Once your application has been approved, you will receive an email with the waiver form attached. At the orientation session, you will hand in this completed form, along with your proof of purchase (which displays your registered badge number) in order to confirm your application. The orientation session will take place in July. When the date is set, an email will be sent out to all volunteers. You must attend a session as details are subject to change as we near the con. Please confirm your presence. Note that only Otakuthon 2018 volunteer applicants are allowed to attend the orientation sessions. If I want to apply for a specific volunteer position, what do I need to do? The best way is to apply as early as you can and to attend the volunteer orientation session. In the application form, you will be asked to give two positions of interest that we will work with in making your schedule. Note however that space is limited and as they fill up in the end you may be placed where there are available shifts. Note: All volunteers will be assigned some badge or I.D. verification duty regardless of your preferences. In order to avoid giving long badge check shifts to only a few volunteers, it has been decided to equally divide the hours amongst everyone. Does my availability in the application form act as our shifts? No. Your availability in your application form does not act as your shift; therefore, by giving us more available shifts, you increase your chances of getting your desired number of hours. Your shifts and schedule will be given to you after the attended orientation session. I have not received a reply from the Otakuthon volunteers department since I applied. Please allow up to two weeks to process your request and reply. After that, you may follow up with your request by emailing volunteers@otakuthon.com. We are not responsible for any thefts or damage. Please avoid bringing valuables. If you need additional information, do not hesitate to ask any questions relevant to volunteering for Otakuthon by email to volunteers@otakuthon.com.